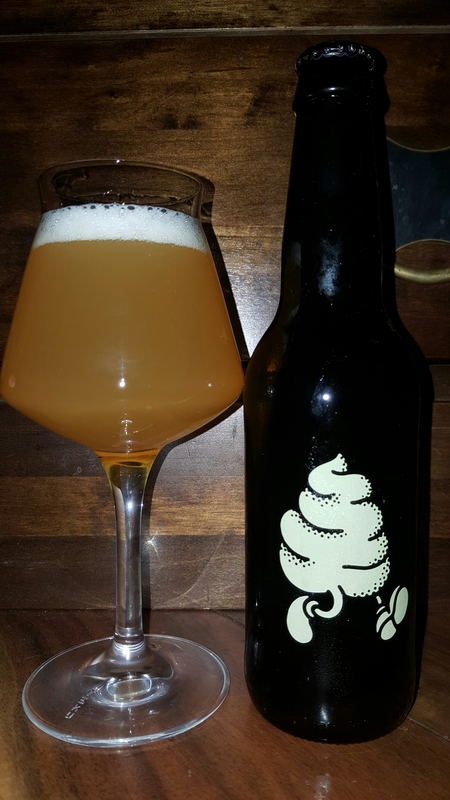 Buxton x Omnipollo: so very special! | Simon Says… You really should drink this! 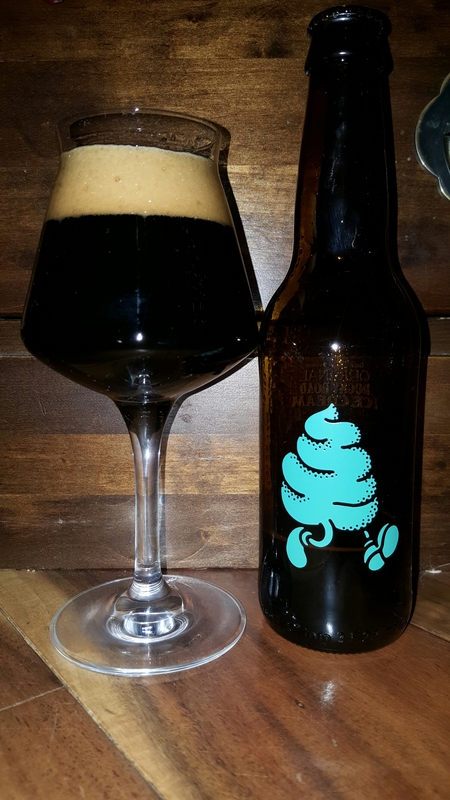 Buxton x Omnipollo: so very special! 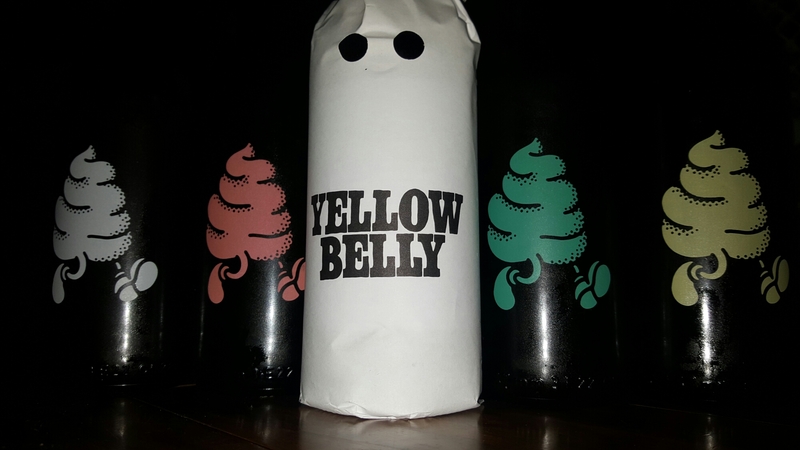 I felt like treating myself yesterday so I raided my beer fridge and pulled out the Buxton Omnipollo collaborations. This may have been prompted by some naysayers on Twitter describing them as overrated and a few beer fans leaping to their defence on Facebook. Irish Beer Snob started it! I thought I should make up my own mind. I started off with the Original Ice Cream Pale Ale. I had it before at Alltech Craft Brews and Food Fair. Back then I reckoned a glass was enough but I had no problems putting away a 330ml bottle. Maybe you have to be in the form for it. The beer is smooth, creamy and has lots of soft juicy fruit ( pineapple) flavour. I enjoyed this. The Lemon Meringue version tasted pretty much exactly how I expected it would. It brought Dip Dabs and lemon sorbet to mind. And that’s a good thing in my book. Next up was the Texas Pecan Ice Cream. It’s an Imperial Porter. I wouldn’t be a big fan of Pecans so I wasn’t overly excited about this one. It is actually delicious. The nutty chocolate thing works. And by contrast I was a little disappointed with the Rocky Road. Maybe if I had toasted a few marshmallows and chucked them in? Not terrible but my least favourite. 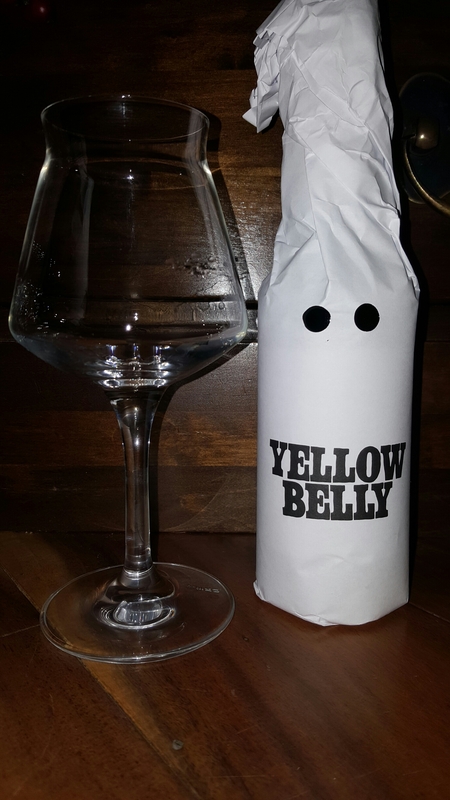 Yellow Belly is not to be confused with our excellent friends in Wexford. 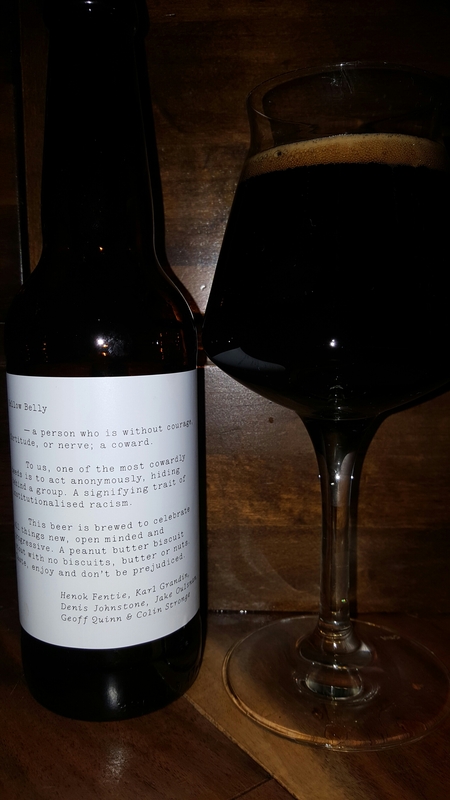 This is an 11% Imperial Stout with peanut butter and biscuit flavours. ….yet it contains no peanuts, butter or biscuits – what brewing witchcraft is this? It’s the most viscous of the lot and it’s chewy as feck. This lived up to the hype for me. I love crunchy peanut butter and this ticked all of my boxes. Now to address said hype. These beers are not cheap. So you might expect a lot. But they’re special and a bit different. Think about how many times you’ve spent €50 on a night out. Buy them if you want but don’t complain about the price. You’ll get a great deal on a slab of mass produced piss in all of the supermarkets. These beers are stocked in McCambridge’s, Galway (where I got mine), Kilmartin’s N6 Service Station, Athlone (who got them in the day after! ), Skelly’s, Ballymahon, Redmond’s, Ranelagh and Bradley’s, Cork. If you’re not near any of those places Bradley’s ship nationwide and Michael is sound. Sláinte! Oh and Happy New Year! 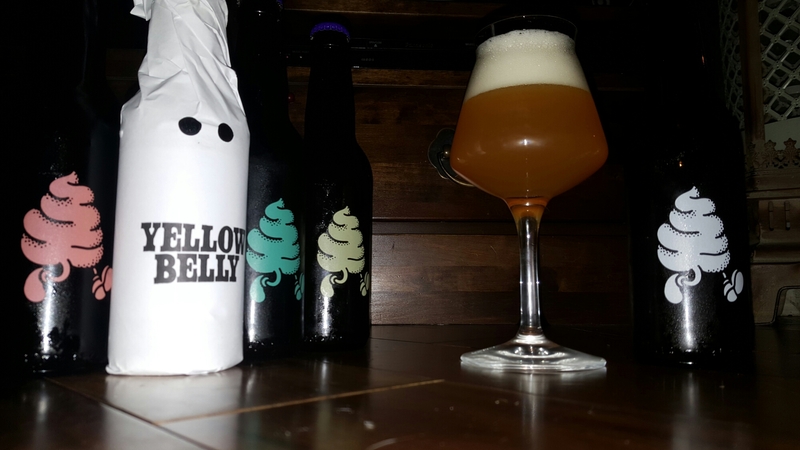 3 Responses to Buxton x Omnipollo: so very special! I have seen photos of these beers but I had no idea there were so many different versions. Glad you enjoyed most of them. Cheers Mike, to be fair they all look quite similar…the colours used are pretty subtle too! Ahh yes. That’s always annoying. Kind of like a brewery inCalifornia that dips their bottles in different colour wax but they all look to similar.